Lately, many AAA developers have been striving for a strange, intangible thing: the “cinematic experience”. It’s a term that has become synonymous for developer-imposed limitations, a clarification or an excuse to explain why a game is – usually technically, but sometimes thematically – restricted in some way. There is nothing innately wrong with limitations, even within the power fantasies of modern gaming. But problems arise when this crude term is thrown into the mix. It implies a horrible end-goal, where what games really need to be more like are films. The standard frame rate for a film is 24fps. It’s just over the rate where the human eye can be tricked into stringing a bunch of stills together to make a flowing, animated scene. Because it’s the standard, it’s exactly what you and your funny old brain expect when sitting down to watch a film. So it is not surprising that Nicolas Guérin, world level design director for Assassin’s Creed Unity, brought up Peter Jackson’s The Hobbit when he was defending Ubisoft’s decision to make 30fps the standard on Unity. The Hobbit was just shy of 50fps, and looked noticeably different from other films. To some, it was a vast improvement, while to others it was jarring. He’s not wrong. He’s just giving voice and entirely subjective viewpoint. I thought it looked great. He thought it looked weird. What it really comes down to is what each individual viewer is comfortable with, and often that means it’s the thing they are most used to. Where things get silly is where he starts applying that to games – where the standard is in flux. At least two-thirds of my gaming is done on PC. If you’re reading PCGamesN, there’s a good chance that you play quite a few PC games as well. And any PC gamer with a modern rig is really going to be used to 60fps. If there is an fps standard on PC, that’s it. Perhaps more accurately it’s the sweet spot, the fps that we hope we’ll be able to achieve when we fire up a new game. “Cinematic experience” is a nonsense term wrapped up in personal experiences. For some it’s surround sound. For others it’s where a very directed narrative takes precedence over player freedom. Others will immediately think of a game filled with cutscenes. Then there are those who equate it to frame rates, even subconsciously. For me, it’s people eating popcorn too loudly and getting grossed out when my shoes stick to the floor. Without a consensus, which will never occur, then striving for that “cinematic experience” by placing restrictions on a game is fool’s errand. It’s not going to improve the experience for everyone, and it’s certainly not going to make a game feel like a movie, because games are a completely different bloody medium. 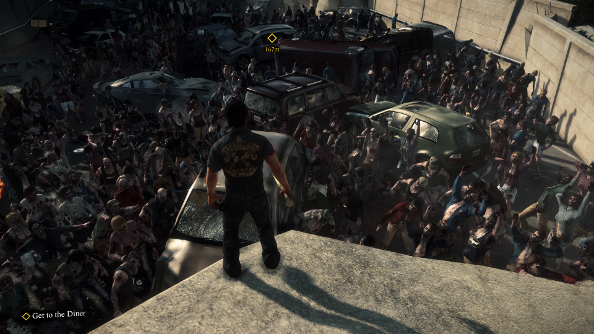 Clearly, the irritation felt by some gamers at the announcement that The Evil Within, like Dead Rising 3 before it, would be limited to 30fps reveals that is equally as jarring as The Hobbit was to Guérin, because it’s not what they are used to. 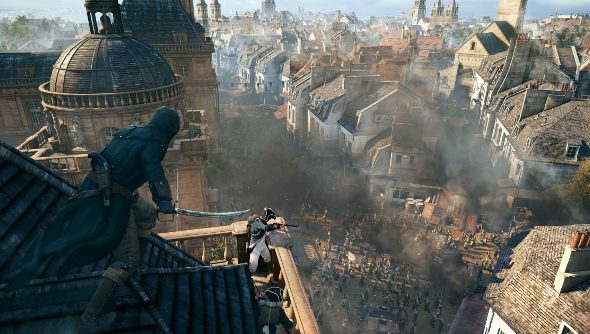 Games have many strengths that films do not, and one of them is the customisable experience. It’s more obvious on PC, but even on consoles one can tailor their playthrough by tweaking the gamma, game’s difficulty and a few other things. Frame rate limitations fight against that. 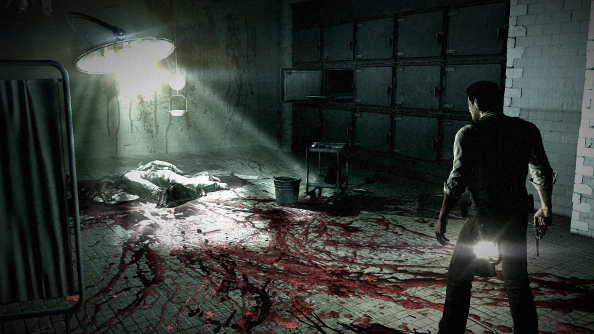 We’ll be able to faff around with The Evil Within to achieve 60fps, but it’s not something the game actually supports. So if we want to play the game absent unforeseen glitches and weird frame rate spikes, we’ll have to be content with 30fps. Will that make it more cinematic? Maybe if you’re playing in a theatre with a gargantuan projector. The goal for a developer should not be evoking a feeling that maybe some people who are inexplicably expecting to watch a film instead of playing a game will get. It should be attempting to create an experience that is comfortable to watch and play for the majority of potential players, and by limiting a game to a specific, low frame rate, that goal is not being achieved.